Fully Compliant 2019 Passport Photos & Visa Pictures. Guaranteed acceptance. No more delays due to rejects! We have a large and frequently updated photo specifications database to take and print a full range of legal document photographs, including but not limited to passport, visa, permanent and temporary residence, citizenship, professional licenses, all types of permits, government ID cards, and many others. All photos taken and printed at our legal photo studio are guaranteed to be high quality and meet specifications. For same-day passport and visa photography service email or call our Orlando, FL Orange County photo studio at 321-236-1105. Passport Photo Place has been providing high quality National and International professional passport and visa photography services since 2003. We have worked directly with Embassies and Consulates to ensure that ALL passport photos and visa pictures are taken and printed exactly per official government requirements. All photo services are provided by an award winning professional photo studio located at 132 E. Colonial Dr, Suite 220b, Orlando, FL 32801. At Passport Photo Place, we do realize the importance of providing reliable, high quality and timely passport photo and visa photo services. After all, even small mistakes in taking and printing a legal document photograph may cause individuals, families and businesses to lose valuable time and resources they may not have. In many cases, rejected immigration and naturalization, passport, visa and other types of applications may take up to 6 months to be reviewed if delays were caused by an improperly produced passport, visa or immigration and naturalization photographs. Through the years, we have seen a large volume of bad passport and visa pictures taken at places that do not specialize in professional legal photography, and countless examples of people who have had their passport and visa applications rejected in Orlando, FL. Some individuals had gone through irreversible travel or immigration plan changes that have changed their lives permanently. 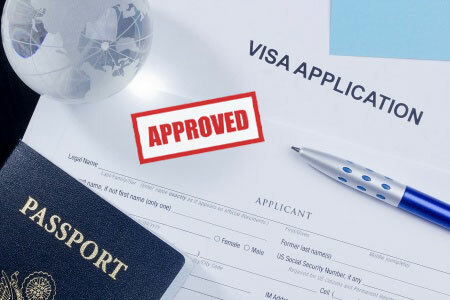 If you have been looking for a reliable place where you could get high quality passport or visa pictures, at Passport Photo Place, we take and print visa and passport pictures with proper care, reviewing each photograph and ensuring that each photo print and all digital files comply with full specifications and our customers’ requirements. All of our passport pictures and visa photographs specifications that we keep on file are current with 2019 requirements. We frequently check and update our passport and visa photo specifications and print photos according to strict government requirements. * Please note that we do not take passport or visa pictures of children under 2 years old. We take and print an extensive selection of 2019 complaint passport pictures. Some of the passport photograph types that we frequently print are listed below. All other types of passport photographs can be printed per customer specifications. Visa photos are available for all countries and all types of visa applications. We can produce custom 2019 complaint visa photographs per any specifications available. All type of photos can be provided in printed and/or digital form. We generally provide digital files as jpeg files formatted per visa application specifications. All passport photographs and visa pictures must adhere to specific government requirements, taken by a professional photographer and printed on a high quality archival grade photo paper. In US, a common 2x2in printed passport photo or a digital 600dpi photograph with the same aspect ratio are required for all legal travel and immigration documents. 90% of International visa and International passport photo documents require a different image format than the one utilized in the United States. These distinct photo specifications significantly differ from each other and require not only precise picture sizes, but different and accurate background colors, biometric measurements, type and color of clothing, eye wear, and facial expressions. Photos produced for National or International travel and immigration documents cannot be retouched or edited in any way. Retouching passport photos is illegal as it alters a natural appearance of the subject, which remains a violation of applicable government laws. Most of the printed type of document photos are required to be produced on a professional non-glossy paper such as that used in dye-sublimation printing. Inkjet printing is not accepted for printed photographs. Both passport and visa printed pictures must be precisely cut to size with tolerance of 1mm (0.039 inch). No cut marks must be observed. European union photographs must be cut to 35x45mm size as EU has standardized process for all European Union documents. Some of the other countries that have adopted their own photo specifications are Australia, Brasilia, Canada, Britain (United Kingdom), Burma (Myanmar), Denmark, Netherlands, Egypt, France, Germany, Greece, India, Indonesia, Iran, Ireland, Italy, Japan, South Korea, Spain, Morocco, Mexico, Poland, Russia, Ukraine and United States of America. Passport Photo Place photo studio can be reached via major highways from the following: Aloma, Altamonte Springs FL, Apopka FL, Apopka, Azalea Park, Belle Isle, Bithlo, Buena Ventura Lakes, Cambell, Casselberry, Casselbery, Celebration Florida, Celebration, Christmas FL, Christmas, Chuluota, Clermont, Cloud FL, Cocoa Beach, Cocoa FL, Cocoa, Conway, Davenport, Doctor Phillips, Eatonville, Edgewood, Fairview Shores, Fairvilla, Fern Park, Forest City, Goldenrod, Gotha, Hiawassee, Holden Heights FL, Hunters Creek, Kissimmee, Lake Buena Vista, Lake Butler, Lakeland, Lockhard, Lockhart, Longwood FL, Maitland, Meadow Woods, Merritt Island and Cocoa Beach, Mims, Narcoossee, Oak Ridge FL, Oakland, Ocoee, Orlando FL, Orlando Florida, Orlando International Airport, Orlando, Orlo vista, Orlovista, Oviedo Florida, Oviedo, Paradise Heights FL, Pine Castle, Pine Hills, Port Saint John, Rosemont FL, Sanford, Sky Lake, South Apopka, St. Cloud, Tildenville, Titusville FL, Titusville, Union Park, University Park FL, Windermere FL, Windermere, Winter Garden FL, Winter Park and Winter Springs.